Last week I saw a bottle of Allagash beer on the shelf in South Florida! Yes! They finally caved to my incessant call on Twitter to redistribute their beers here since their exit a decade ago! 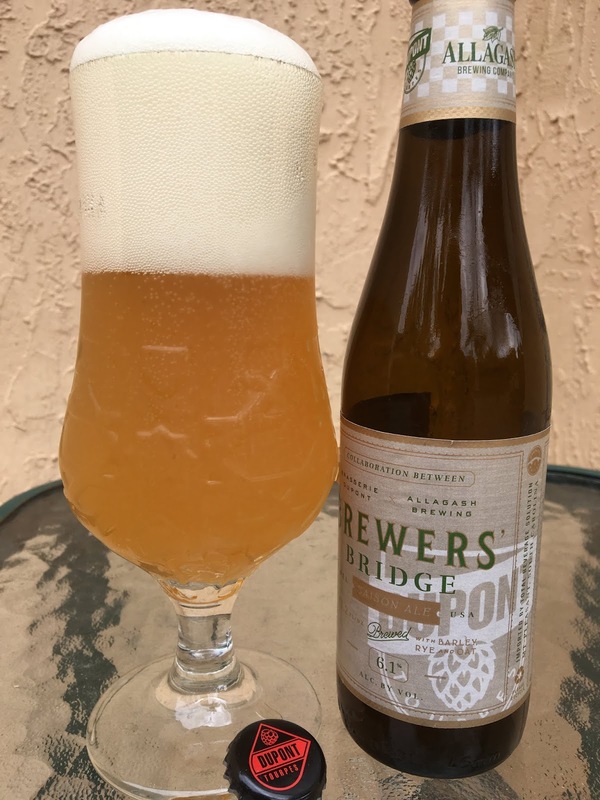 Upon closer inspection, this Brewers' Bridge Saison is actually a collaboration between Allagash and Brasserie DuPont, brewed in Belgium and brought to Miami by Total Beverage Solution. 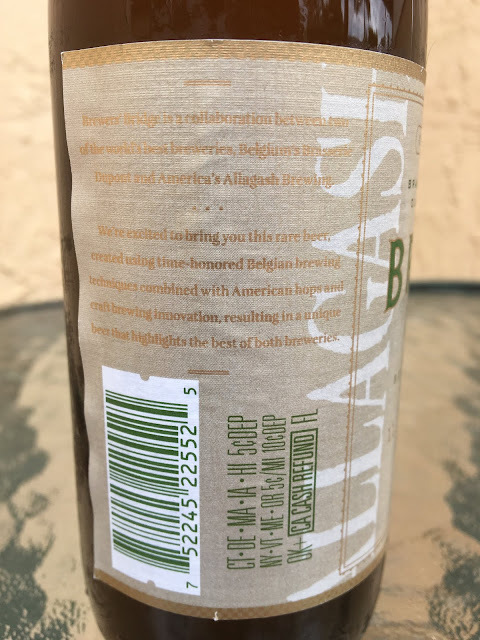 So the march on Allagash will continue! There's a little story on the label, difficult to read the gold lettering on gold background, but the picture below isn't too bad. 6.1% alcohol. 11.2 oz. $6 for a single bottle at the cheapest retailer. Huge head, wouldn't go away! Funky, yeasty, lemony aroma. Very nice flavors. Belgian yeast noticeable, offering a nice and not overdone funky character. Spicy coriander and pepper. Soft lemon, light tartness. Delicate with a lot of flavor. Was great!